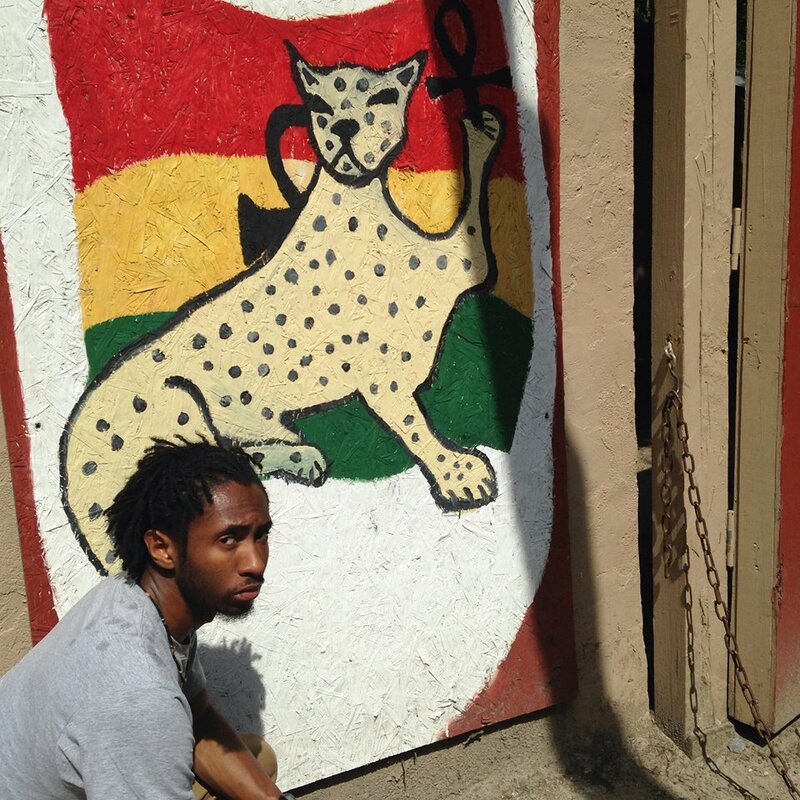 Alafia in that divine and covering name of His Imperial Majesty Emperor Haile Selassie I the first, covered in the blood of The High Priest, Yahshuah HaMoshiyah, Amun Ra. 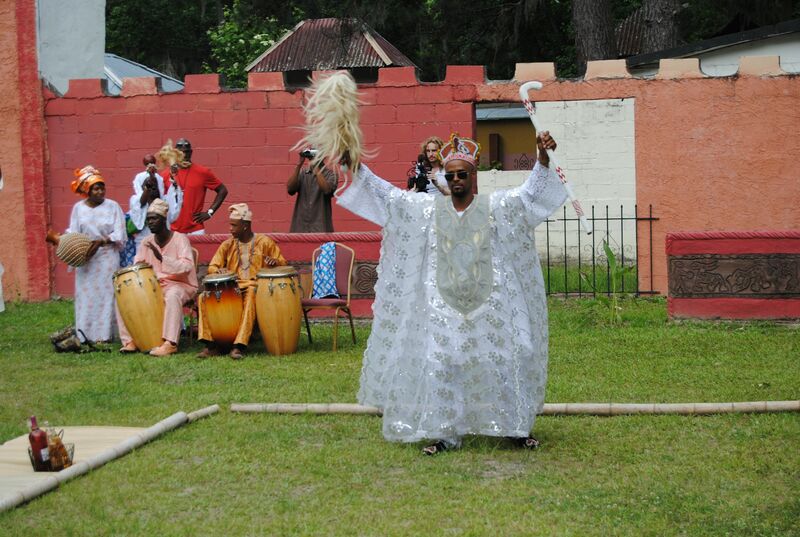 I say Alafia unto you, it means Peace or Greetings in the Yoruba language. 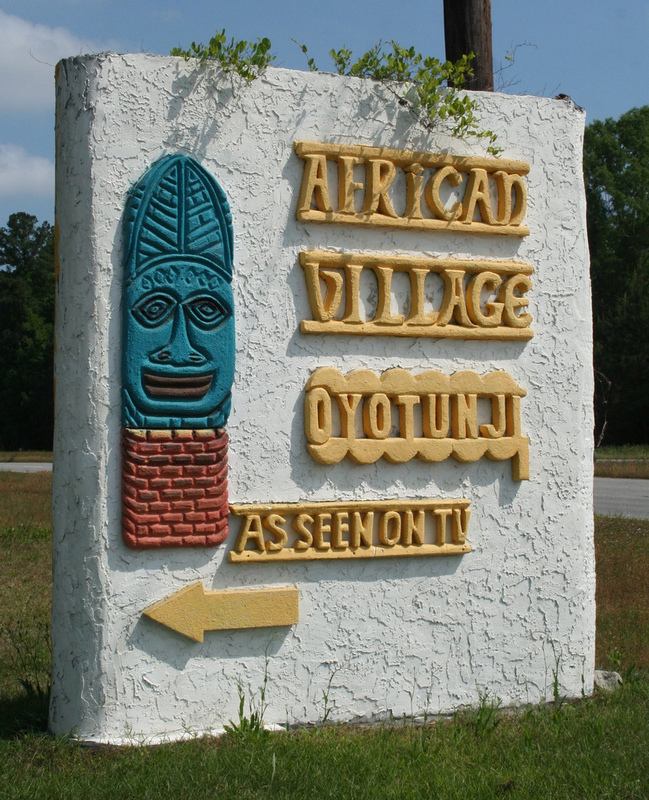 I’ve been meaning to upload all of my thoughts and experiences with the Oyutunji village in South Carolina, I’ve been sitting on this information for almost a year and felt the need to really share during this current black history month of 2015, which resides in the 150th year of the Emancipation Proclamation, to get technical it may have ended chattel slavery as legal but we know the truth, but still so many fought and laid down their lives (all colors) for us to be here today. 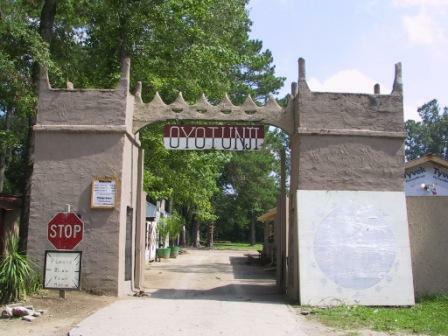 Oyutinji, was a great experience. 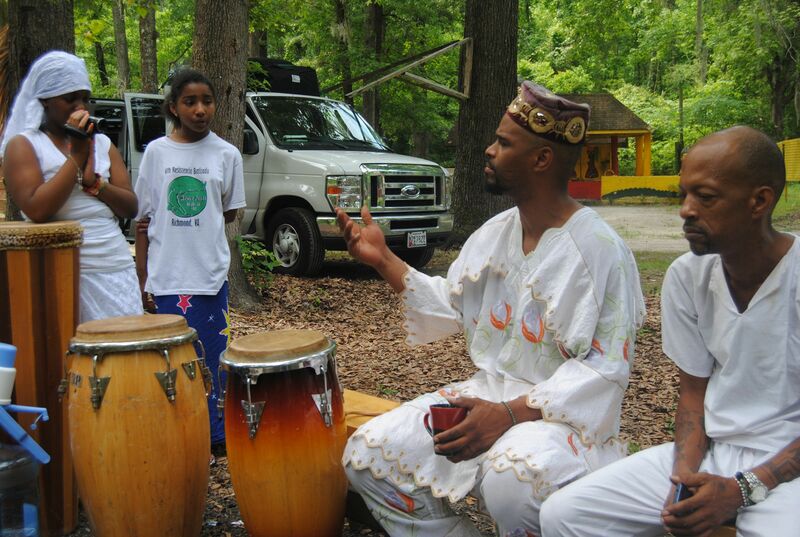 I traveled down with AYA, African Youth Alchemy, a great program here in Baltimore city helping youths to utilize their artistic talents but also an opportunity to know more of their African history. We drove down I-95 in May of 2014. Driving down the Carolinas is always a long drive, hence, providing ample amount of time for my thoughts. My family and I was heading to a place that practices vodon. I was a little nervous, but more nervous about the unknown, for example; Will it rain, how will my children be recieved, would my wife enjoy herself, what does the camp grounds look like, then of course the idea if someone is going to put a hex on me. Little did I know, that it was the ancestors calling me. 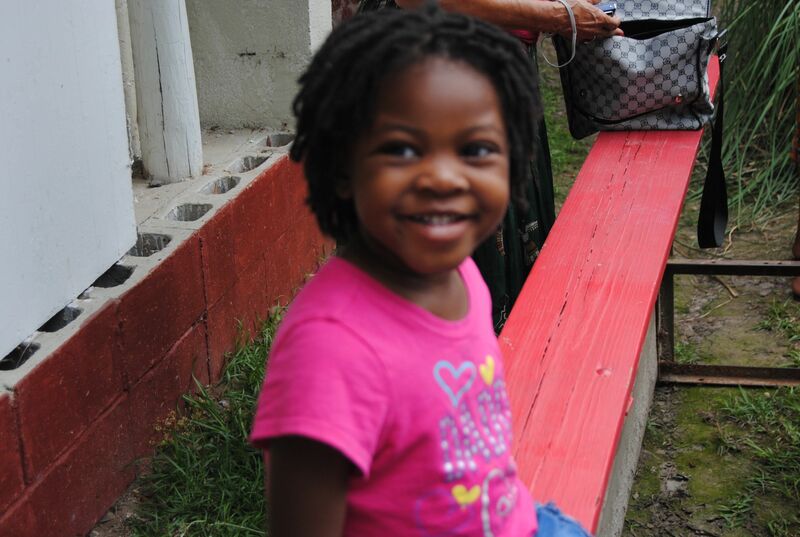 When we reached the gates, we drove through the community to reach the campgrounds to set up our tents and unload. The village was small but great in spirit and discovery. 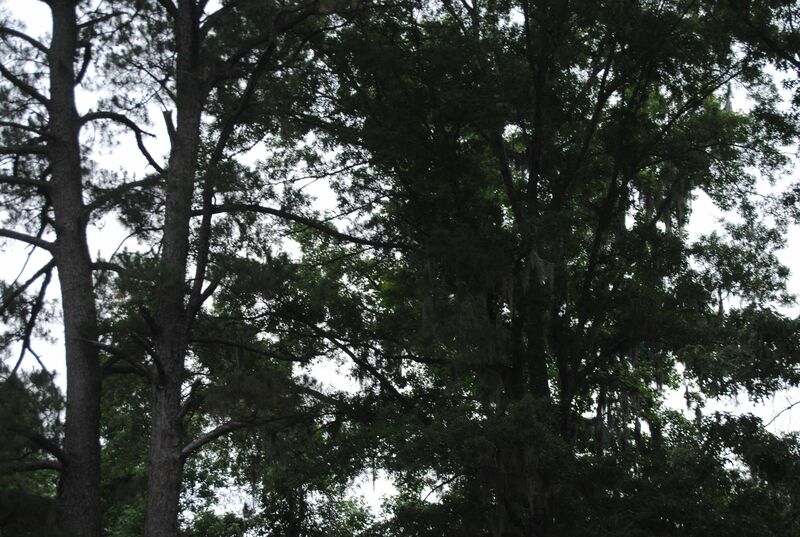 It is about a half-mile or more into the forest, away from the city off of the highway. As you make your exit into the path there is a big sign that acknowledges the Village with a small message…As seen on T.V….That kind of baffled me a little bit, but that is all in my own understanding. So anyway as we drove through out the village, we got to see some of the artwork and descriptions of their Orisas, which can be viewed as Prophets, or Messengers of God. I will share with you a better explanation from a person who actually studies it. I have a Yoruba friend who is a Nigerian Muslim and he was sharing with me, that many look at the Yoruba spirituality as idol worship and hopefully with my experience, I can provide more value to tear down that barrier of ignorance. But as he was explaining to me, he was sharing that the Orisas mean Prophets and that we are monotheistic, we serve one God, named Oludumare. These Orisas are messengers of him. The Orisas are not perfect and that they have good side and a bad side. They are also the mediator between man and God, like Jesus is to Christians, Mary to Orthodox and Catholics and etc. I also was able to hear Dr . Umar Johnson speak, and he shared his understanding of Ifa, Ifa being the name of this Spirituality. Europeans has played a major role in demonizing this way of life, so much that we take their view as true. They are quick to say that Ifa has many Gods, and that these Gods war with each other. But that is highly false, God has many faces, including the face that is reading this. He also has many names. African Spirituality is also against Homosexuality and Lesbianism, it has not part of the culture because we need the balance of the feminine and masculine spirit. Family between man and woman is highly important. In this spirituality, it is vital that we uplift our women to the ranks of Queen and in its monarchy, a King can’t carry out a decision unless the Queen’s Mother decides. Such wonderful teachings that I myself has improved my own view of my own Empress. We reached around high noon, so the area was bright but not as hot, the mosquitoes were out an active, and especially the love bugs that seemed to follow the wave of the wind traveling from one spot to another. 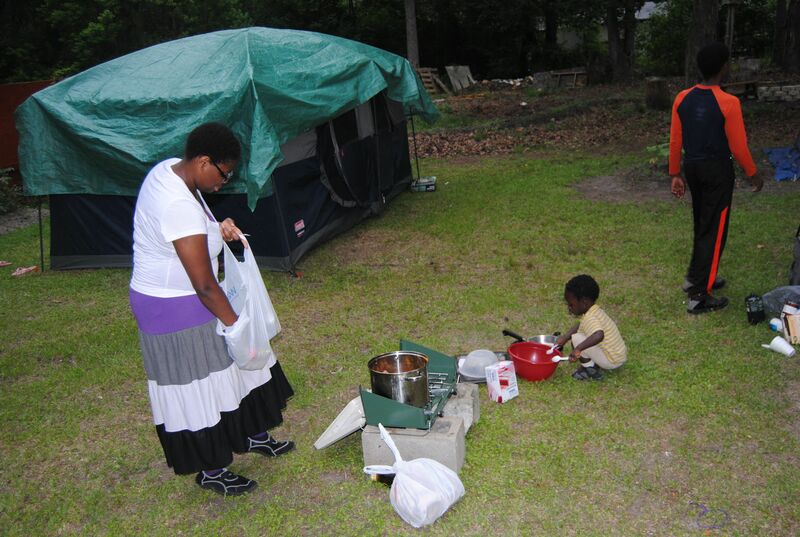 The Village is located on swamp/marsh land, so we were in the low end of the country, or low country. It’s very interesting, the village used to be a plantation. 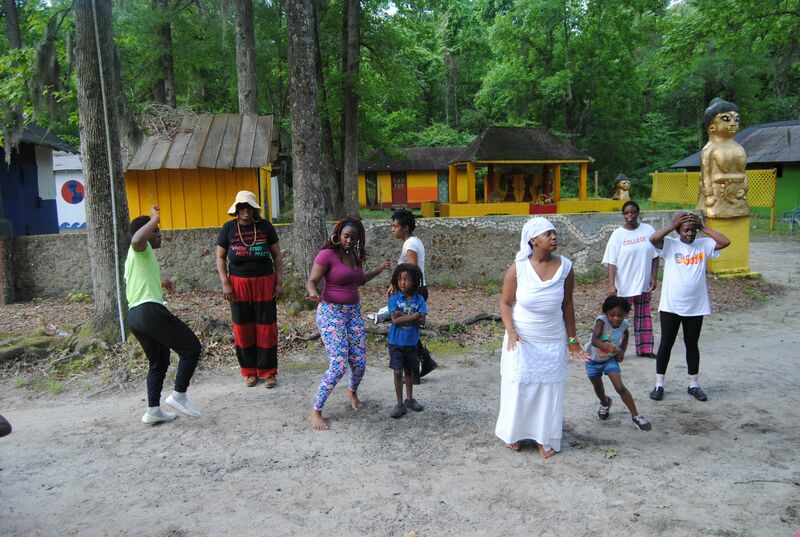 The Slave Master fell in love with the ancestor and left this place to her as an inheritance, in the 1970s he descendant who was living in Detroit at the time inherited the place and decided to return to his roots by creating this village. Since his vision this place has been put in manifestation. The village provides a set apart opportunity to leave the immoral society and live on the land for however long is needed to get yourself together. Sort of like a spiritual rehab, some of the young adults there were born there and lived there all their lives and when the time right they moved into society. Towards the end of this blog, I will share more about Oyu Tunji’s history from another source. Once camp was set-up, I felt good. The road and town looked like Jamaica, nothing like western modernization like paved roads and high technology, but it had basic amenities while keeping its African homestyle culture. It felt ancient, it felt homely. 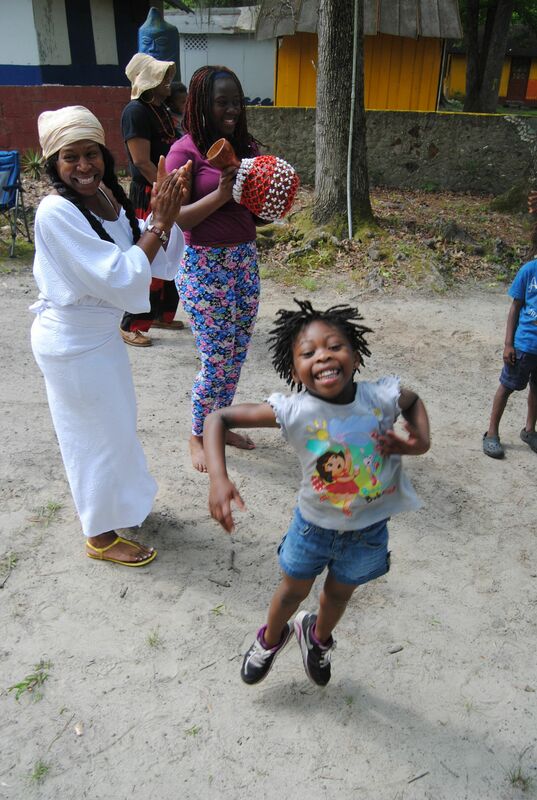 It was the root of what we Africans call Southern Hospitality, our children spared no time, they took their flip flops off and ran the village bare foot. Once they were settled in, my worries began to cease, I began to take an unofficial tour of the place, but before the group began to do so, We had a villager, a male, so we addressed him as Baba, which is another word for Father. I quickly saw the connection between what Ethiopians say as Abba, and what West Africans call as Baba, I think in South Africa the word Ababa is also used for Father. I began to try to soak in all that I could. 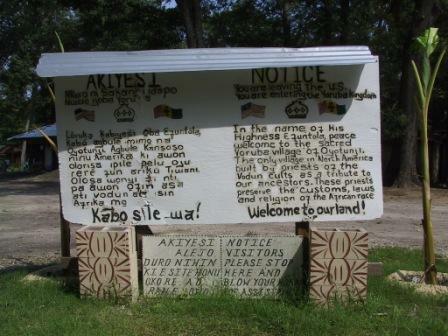 For where I live, there isn’t much to inspire you to see and embrace our African culture and within the first few minutes, I began to see the connections in language. But when the Spirit moves you, it all becomes revealed. I tried to listen closely to what the Baba was saying he spoke fluent Yoruba, he was explaining the rules of when coming across the different shrines, that represented an Orisa. It is disrespectful to walk across it, without acknowledging it and if we did have to cross, leave about 15-20 yards between you and the shrine for a respect towards the Orisa. As I walked up to the shrine, I began to see some evidence of Voodoo, by seeing what may have been a chicken bone, and a skull by the shrine. The ignorance began to breed questions, which it normally does, so I waited until I got further information on this. On some separate places, I saw bowls of food placed by a smaller shrine and this was a symbol of giving an offering to the spirit and ancestors. The Spirit and Ancestors are used interchangbly, For in African Spirituality, the reverence of the Ancestors is a major within its culture, Blacks/Africans here in the west do this a lot without even recognizing its origin. 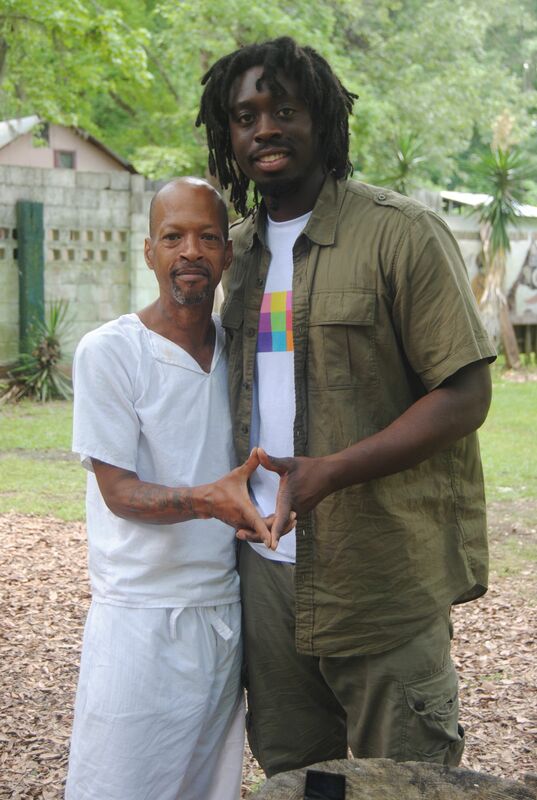 Some pay homage to the ancestors, whether through creating RIP T-Shirts, having their name tattooed on their body or just mentioning them in love through conversation. There is a also a connection with our Libations, In the 90s you can hear rappers use the phrase, “pour out a little liquor” which is a tradition that is birthed out in African Spirituality. Libations in an organized fashion pours out liquor or water while calling out the family members that have passed in your life, once a family member or African has passed they become an ancestor. We also poured libations and it was serious for us, I called out the names as well as my wife. It was joyous to have her there with me and experience this, we came a long way, that’s my homie for real. Raspect to the Empress, Menin I irit. 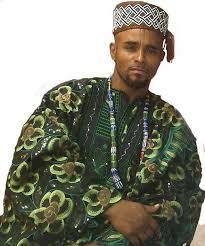 The spirit of the ancestors is an African culture within itself. Further reasoning with my friend, he said that it is quite common in Africa that Muslims and Christians maintain their Yoruba spirituality and that there isn’t much debate or problems with that, in fact it usually the blacks over here in the West that conflict with each other when it comes to religion. I haven’t been to Africa so I can’t expand but one thing is common that blacks over here do lack unity of brotherhood when it comes to religion. What has helped me is HIM Haile Selassie I speech on Spiritual Kinsmen. I wrote about that as well here. He shared that most converted to Islam or Christianity based on the education they chose, what their family practice or called too. For example, he has 2 brothers, He is Muslim, the other Christian, and the other Ifa. 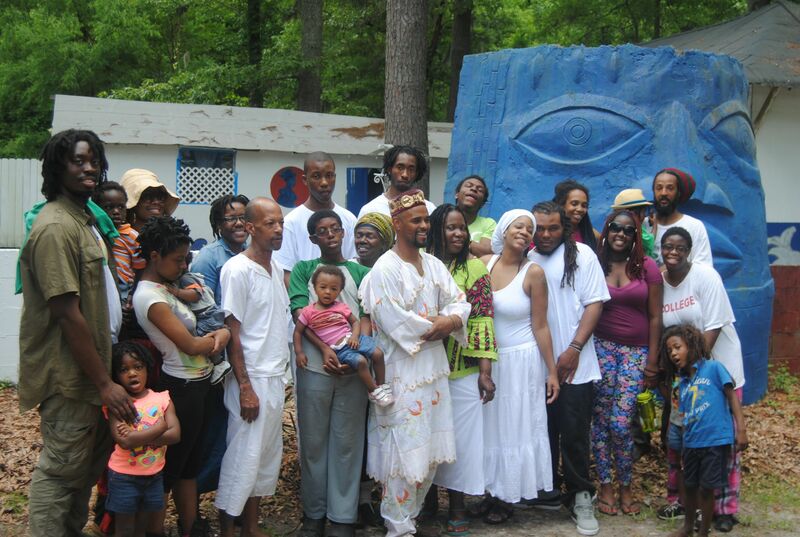 They all get along and understand the spirit of God from the their foundation of Ifa. 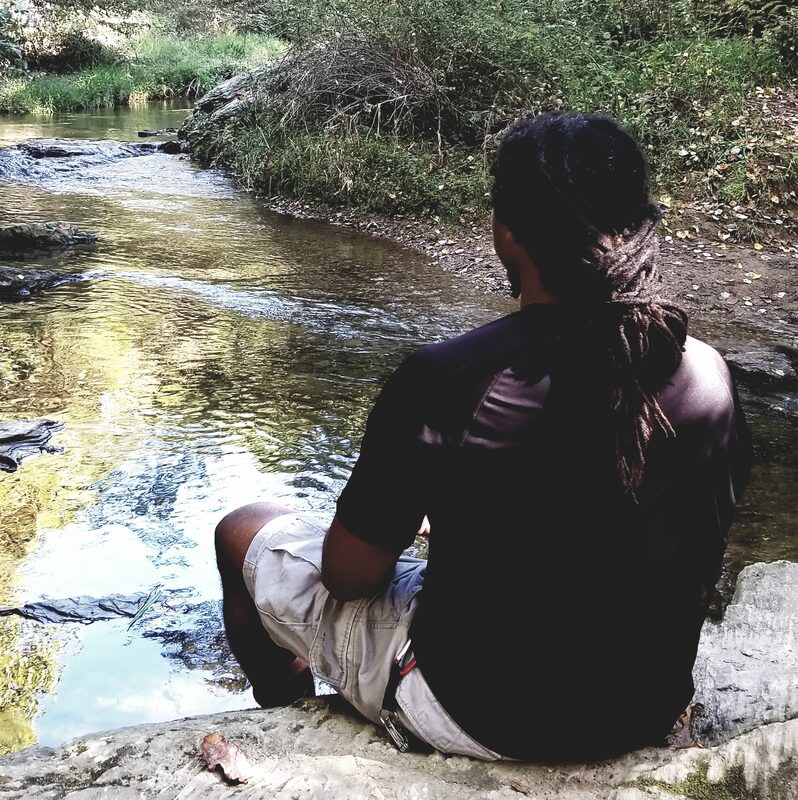 It really resonated with me, because growing up as a Christian, the ancestors always kept me in an African Consciousness and now as a Rastafari I have walked into my destiny. I’m all for setting fire to the European teaching, the same teaching that viewed us as savages, they also stole our legacy but keep in mind that we as Ethiopians are not innocent. When Libations was done, I felt the energy of why this ceremony was so important. I mentioned my grandmothers’ name and then my wife mentioned her family’s name and it made you think of yourself as truly a person carrying the torch for the next generation. Slowly I was beginning to connect the dots on why the motto Sankofa, “Reach back and get It” is so vital. If the Almighty has brought you here to read about my experience then there is something within you that must be addressed. It is your responsibility to carry on the story, what has been engraved permanently in your heart and mind. For a man can change his religion tomorrow but he can never change him nor his tale. We must understand that the black man which has been on this earth over 200,000 years are the original people and that the white man hasn’t been here as long as you. We are there mother and father, we set the trends, we teach sciences, architecture, math and so on but ones wouldn’t know that based on the economic and some cultural states of the Ethiopian today. So with this solid advice, I find my self drawing from the energy within, for the word says that we are all created in the image of the Most High and that our body, is the temple of HIM. So its time to go within, and prayer helps to reveal this and now that I see that I am god. Now it’s time to utilize my power, I can hear my father’s voice as he often said in the morning, “wake up, no lazy man house”..so it’s time to work. In time I can see that even a sheep, you can transform into a shepherd, a transformation happens and man becomes a leader. I can feel how I am destined for greatness and why this calling to know self is great, for who knows later down the line I will need to help a person out who is traveling down the same road. Focusing on the self and thinking about those that lived to help to get you where you are now is a very noble notion to honor, for once you make the connection to the pain that was inflicted on them, their struggle and pursuit for happiness with or without compromise of who they are, influences you to step up and be great. This is very similar to the power of Yahshuah HaMoshiyah, the torment and death on the cross he experienced for the hope of our souls to do the Fathers will influences you to mortify your pride and humble yourself to be great and utilize your talents the best you can. Hail to mother wisdom, which was here before the earth was formed. The spirit of “what would your grandmother say?” is similar to “what will Jesus do?” For this line of questioning becomes a moral standard. As a teacher in an urban setting, a lot of professionals use that phrase to help reason with youths during a crisis, most youth are raised by the grandparents, so the name of the grandmother holds weight, just as much as the ancestor. But overall, if the person doesn’t seek change or wants to do better, even the name of Jesus can’t help him, a spiritual awakening must happen and Rev 22:11 this truth is revealed. On the day of the Egungun ceremony, which was Memorial day weekend, I will like to describe the setting which was not by man’s order but the Almighty’s will. The sky displayed the mood of when a flag’s half-staffed in rememberance of a hero. The wind began to blow the trees but in a very dramatic way, it was dancing and the wind had a fine very light gray outline, the untouch part of the leaves that never faces the sun began to show and the willow began to sway. Rain was coming and the evening was fading into the night. The echos of the cries of the ancestors played by the villagers to display a visual began to become alerting, freightening for some cases but nevertheless an equal experience to see. The Ancestoral Spirits, wrapped and covered in clothes were being guarded by men who held sticks to display a boundary between the ancestors spirit and the village people. In some instances the ancestral spirit will run towards a villager to become real close, and the guardian will place the stick out to defend the separation. While the ancestral spirit approached close to you, it would be respectful to kneel with one knee, lower your head and touch the ground with your right hand. This same type of respect was given to the King of the village, I would say Alafia Baba while kneeling on the ground with my right hand touching the ground. I was able to speak with him a little, he spoke fluent Yoruba as well as most of the villagers there. 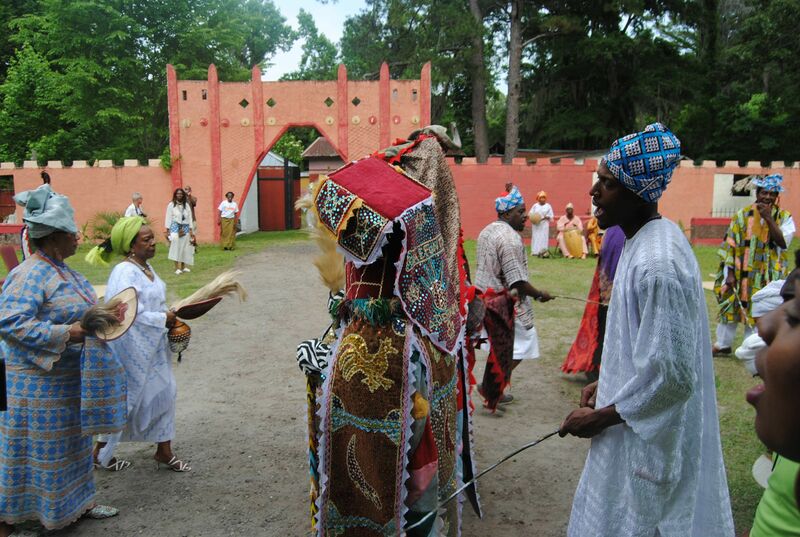 The ceremony was recited in Yoruba and will then translate what is happening. 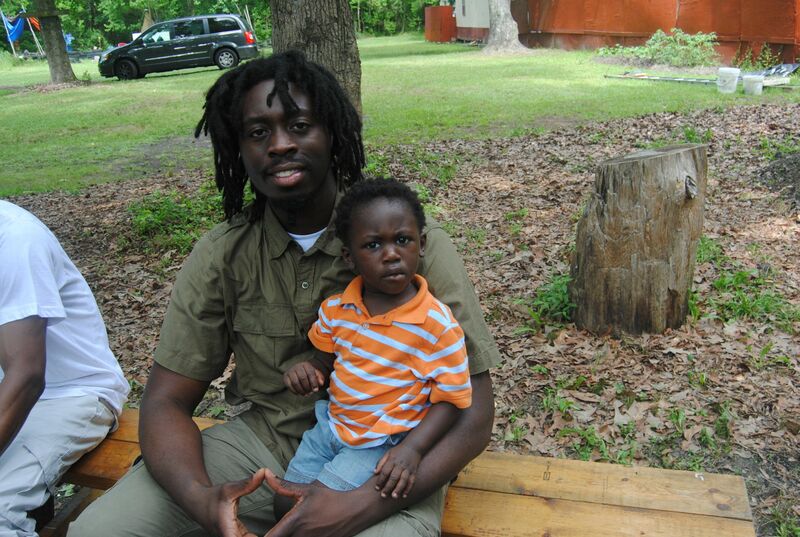 My older brother, shared with me that when he first met the Baba he gave him the Important Utterances of Haile Selassie and since then has seen him advance in his leadership, posture, tone, knowledge. The Baba spoke to us as a group and answered any questions that we had as well as explained many of the Kemetic symbols displayed around the village and the belief of reincarnation in the trod. After the fall of the Kemetic Empire, the teachings of Amun-Ra flowed West, while what flowed East was converted into Hinduism, Buddhism, Christianity, Greek Mythology, but what flowed West was Vodon and the Dogon. At the end of this blog, I will post some sourced information about the Yourba faith, and the Egungun ceremony, for I am no expert but is only relaying my experience. 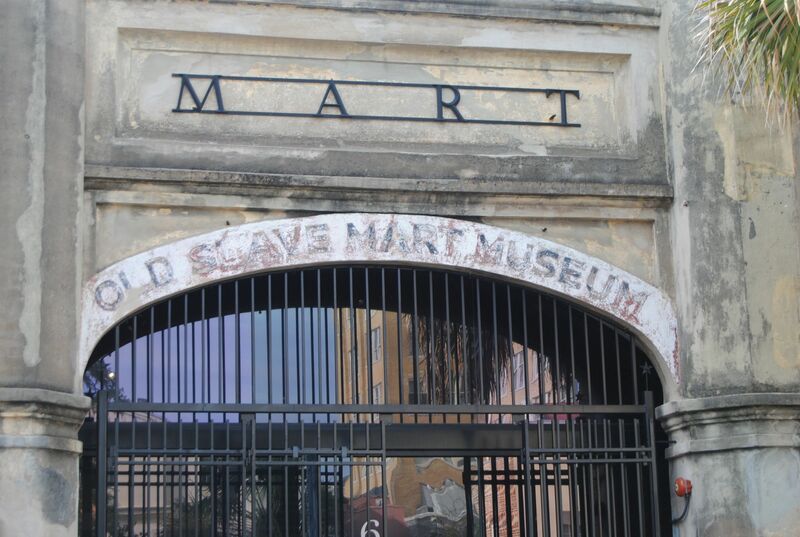 Here is a few pics, my children loved it, while in South Carolina we went to Charleston, which was the slave capital in North America. This place history is so grand that it still has the government immigration building right off of the harbor where the ancestors were brought through and registered. 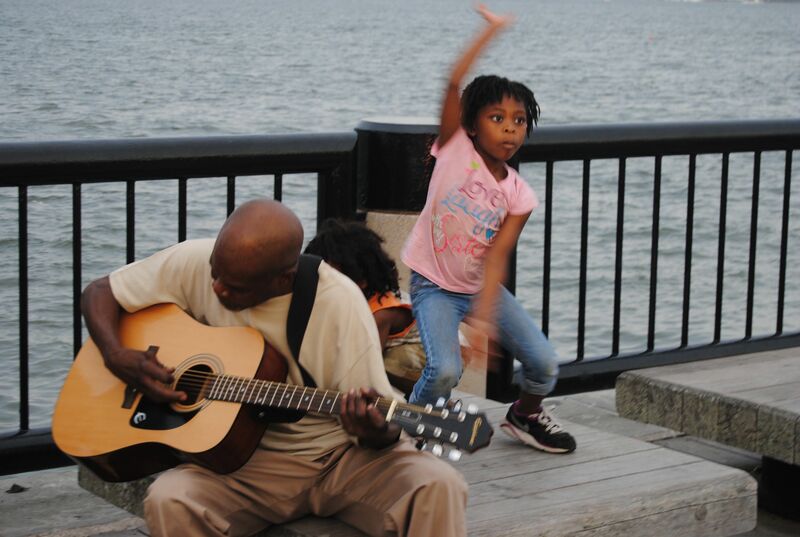 While at the harbor we ran into a Gullah man from the Geechi Islands, chanting Bob Marley’s Redemption Song on the dock with his guitar. Many whites sat an enjoyed the singing but we overstood it on a deeper level. 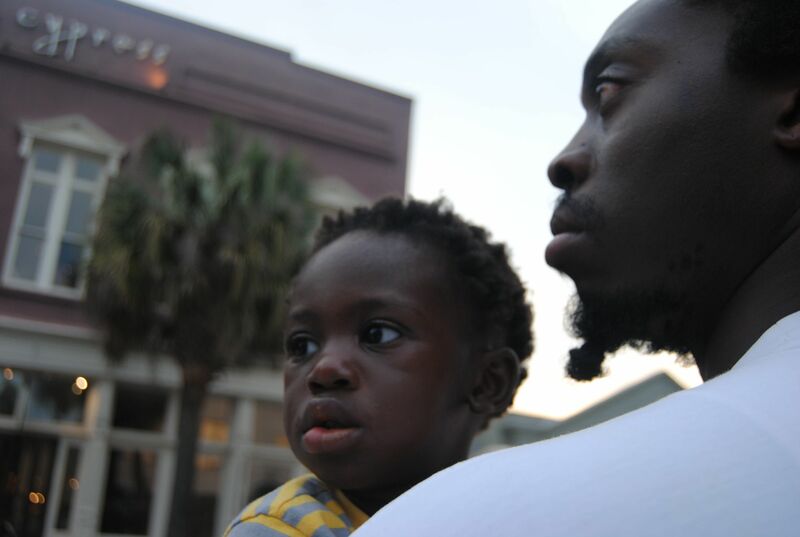 Of course the children danced and and he began to become overwhelmed with tears as he saw the little child shake his locs, Yah planned this out straight. My eye is open, only HE can allow such a testimony to be witnessed by us, bits and pieces of the puzzle if you know what I mean. Like his Majesty has uttered, religion is good, it is a good influence which provides morals and that it is personal but the state is for all. I take from it that all people of different ethnicities and ideologies and so on, share it. The greatest struggles is uniting together to improve it. If we overcome our differences then we stand collectiviely secure, using our instilled geniuses to improve humanity is true religion. Curing diseases, reducing unemployment, feeding the hungry, clothing the naked, taking care of the elderly, nourishing the infant, healing the sick is the answer. Yahshuah basically said that you don’t love me, and who he was talking to was like yea I do, he said that each person that was hungry, thirsty or without you ignored and each one of them was me. I know how people feel about their word, so let me put out a disclaimer that it is paraphrased but here is the scripture. 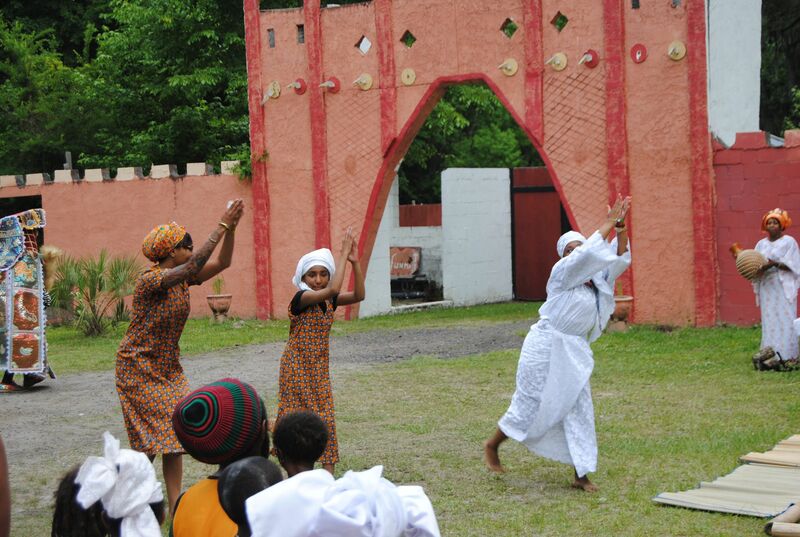 Yoruba is a West African spirituality that some Anthropologists estimate is 10,000 years old! 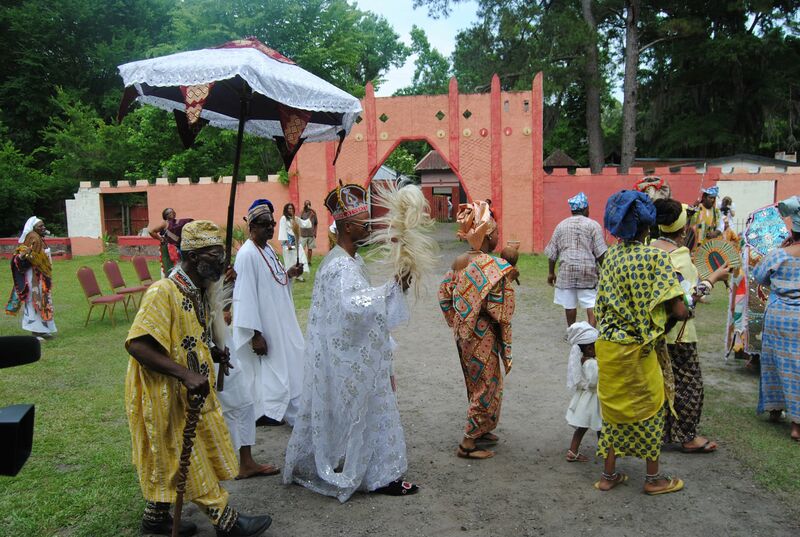 It comprises the beliefs of the Yoruba people, whose homeland is in the South Western part of Nigeria and adjoining parts of Benin and Togo. 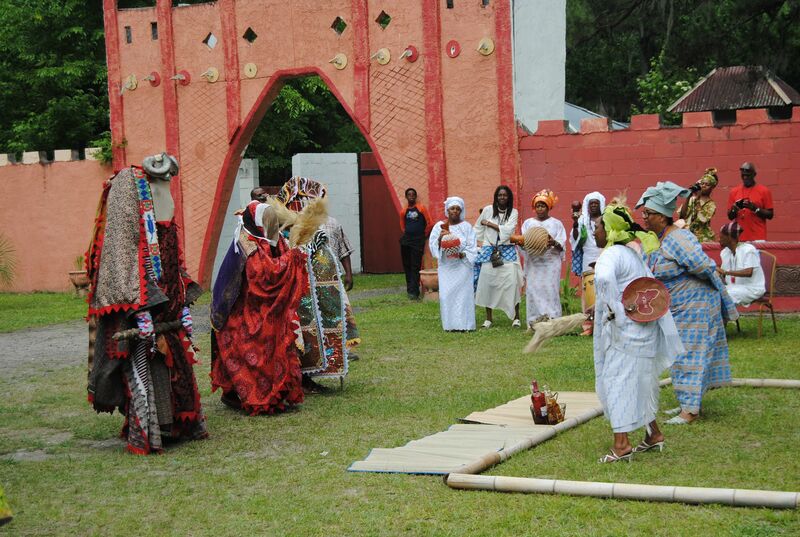 Yet the beliefs of Yoruba are also incredibly widespread around the world. Some of this was due to migration that occurred before the Egyptian dynasties. Yet the most recent migration is because of the Atlantic Slave Trade that brought the peoples of Yoruba to Trinidad, Tobago, Cuba, the Dominican Republic, Puerto Rico, Brazil, Venezuela, North America and elsewhere. 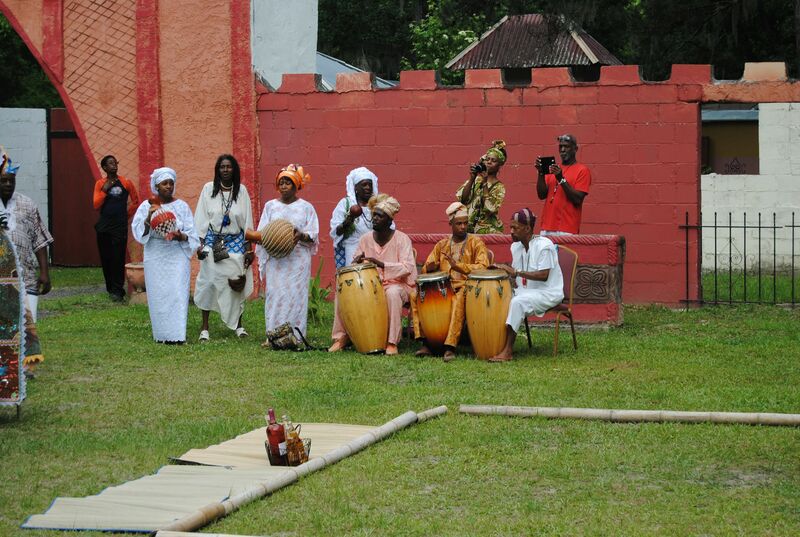 Today, many people of African descent are returning to their roots via exploration with the Yoruba spirituality. There is a great article on this very phenomenon on NPR. 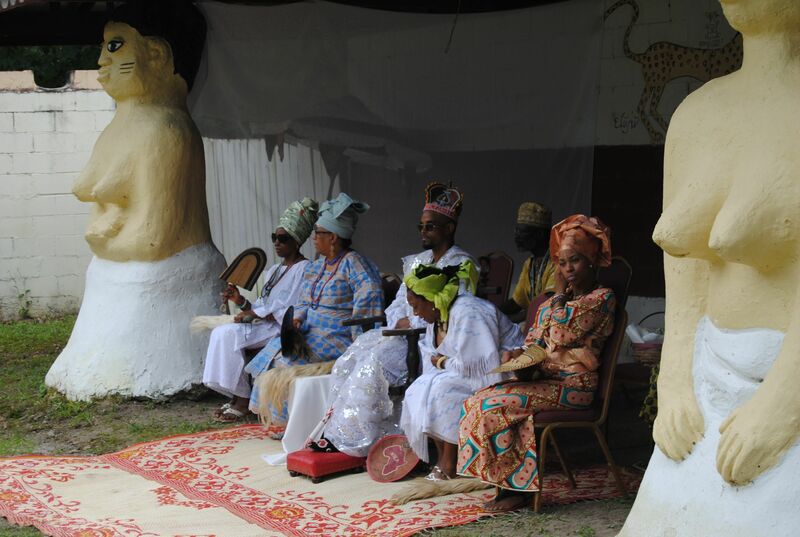 The spirituality of Yoruba focuses deeply on self exploration, learning one’s destiny (or fate), interacting with the spirits of nature as well as one’s ancestors, and getting yourself right with the almighty creator Oludumare. Yahweh is ONLY the exclusive god of the Hebrews. El is the Compassionate God the Father for EVERYONE! Simply by chanting OMૐ The Word God’s Sacred Secret Name Hidden in Plain Sight one has a direct connection to the Creator,cutting out the middleman! !